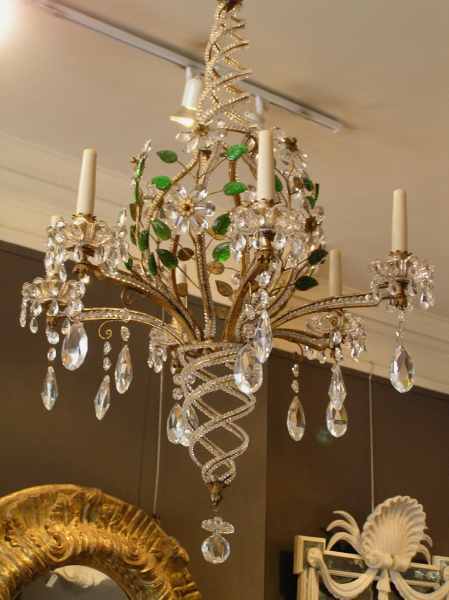 Made to order clear and green coloured glass chandelier with spiral decoration. Also available with all clear glass or different coloured glass leaves. Metal work can be silver leafed. Ceiling canopy and matching hanging chain provided.